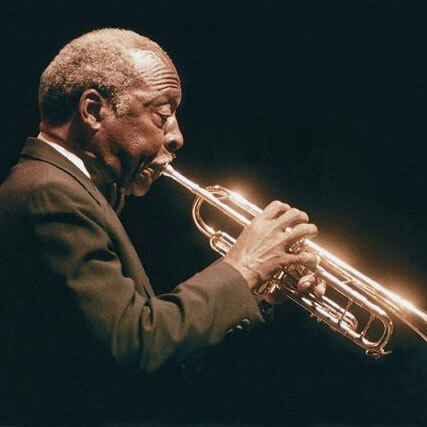 February 22, 1922 Joe Wilder, jazz trumpeter, composer, and bandleader, was born in Colwyn, Pennsylvania. Wilder studied at the Mastbaum School of Music, but turned to jazz when he felt there was little opportunity for an African American classical musician. At the age of 19, he joined his first touring band. Wilder served in the United States Marines during World War II, eventually becoming assistant bandmaster of the headquarters’ band. After the war, he played in several orchestras, including Jimmie Lunceford, Noble Sissle, Dizzy Gillespie, and Count Basie. Wilder earned his Bachelor of Music degree in 1953 from the Manhattan School of Music. From 1957 to 1974, he did studio work for ABC television and performed in the pit orchestras for Broadway musicals. Wilder recorded seven albums as bandleader, including “Wilder N’ Wilder” (1956), “Jazz from Peter Gunn” (1959), and “Among Friends” (2003). In 2008, Wilder was designated a NEA Jazz Master, the highest honor the United States bestows on a jazz musician, by the National Endowment for the Arts.